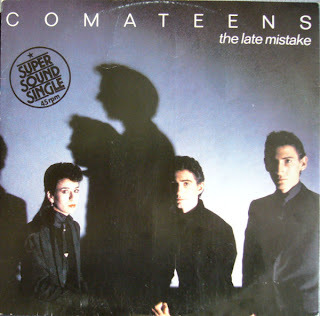 The Comateens were originally a New Wave duo formed in 1978 in New York City by bassist/vocalist Nic North and guitarist Ramona Jan. Soon after, Lyn Byrd joined on vocals and synthesizer, and the duo became a trio. When Jan departed in 1980, North's brother Oliver joined on guitar, completing the final lineup. The band was one of the first in the world to record solely with a drum machine, joining the ranks of the burgeoning electro-pop avantgarde along with bands such as Suicide, Kraftwerk and Soft Cell. This New York trio played a bouncy brand of dance rock rooted in chintzy '60s Farfisa organ pop and spooky horror movie soundtrack music. The group first gained recognition in 1979 with a homemade single that featured a stripped- down version of Bowie's "TVC 15," which they re-recorded for their first LP. 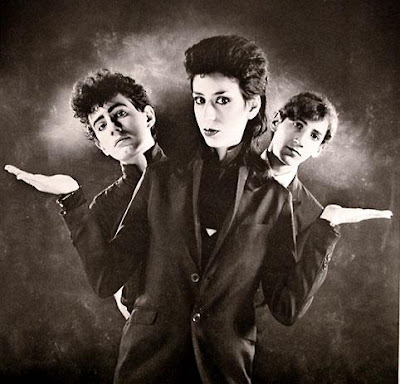 They contributed two tracks to the influential Marty Thau Presents 2x5 compilation and their debut album, the self-titled Comateens, (1980) featured the band's bizarrely original compositions alongside covers of "Summer in the City" (The Lovin' Spoonful), "TVC 15" (David Bowie), and the theme song from TV's The Munsters. 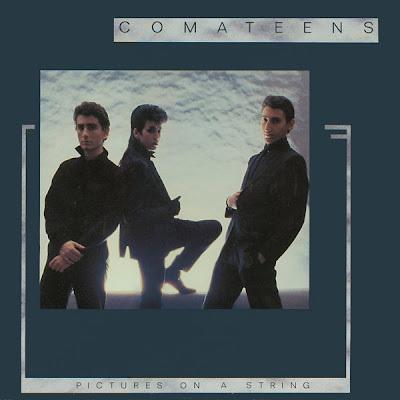 After they were signed to Virgin Records they released the second album, 'Pictures On A String' which diverges into rock quirkiness and danceable commercialism, pushing a powerful disco beat on "Get off My Case" "Cinnamon" and other numbers. In 1984 the band released their final album, 'Deal with It', which featured live drums played by Chuck Sabo. The band also rode the New Wave by appearing on the then new and innovative MTV in several videos, and in interviews with pioneer VJs Mark Goodman and Martha Quinn. The band split up in 1985. Oliver North died in 1987 of asthma-related heart failure. In 1988 Nic North (now Nicholas West) and Lyn Byrd recorded an album, West & Byrd, together. In 1990 the duo, again under the name Comateens, recorded the song "A Place For Me" which became a European hit. Virgin Records released a retrospective compilation of their music in 1991 called "One By One: Best Of Comateens" which has become a rare and much sought-after record among collectors of New Wave music.